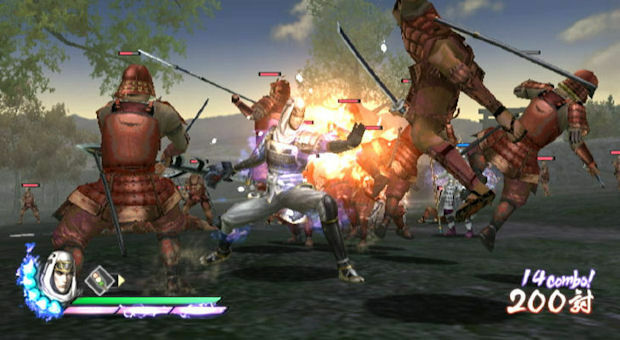 The last time Samurai Warriors was on the Wii, it was the definitively unimpressive Samurai Warriors Katana, a game that eschewed the series' typical button mashing action for a first-person waggle fest. Having dispensed with motion gimmickry, Samurai Warriors 3 is as traditional as they come, a move that's sure to please fans and ... nobody else. 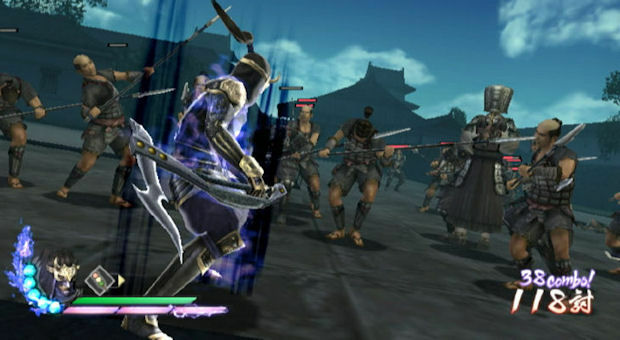 The reasons for the Wii exclusivity remain elusive, but Samurai Warriors 3 is a game that shamelessly sticks to its roots and leaves the waggle at home. For most, this will be a lazy return to formulaic dreariness. 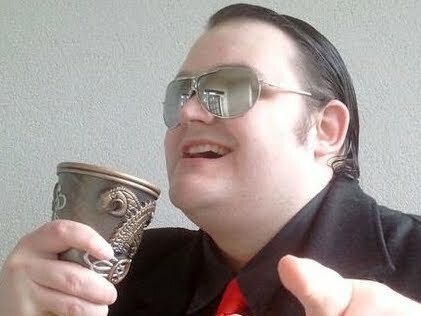 For a brave few souls, it will be a most welcome to return to form. Guess which camp I'm in. 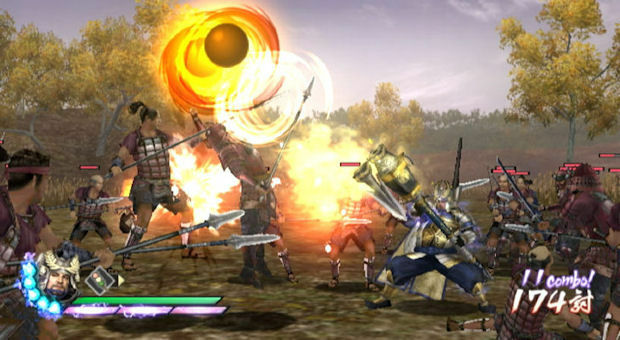 Samurai Warriors 3 takes us back to Sengoku era Japan, a period of Japanese history marked by roughly two hundred years of near constant military conflict. Legendary heroes such as Uesugi Kenshin and Oda Nobunaga were kicking the crap out of each other, and the way of the Samurai was become engulfed by modern warfare. 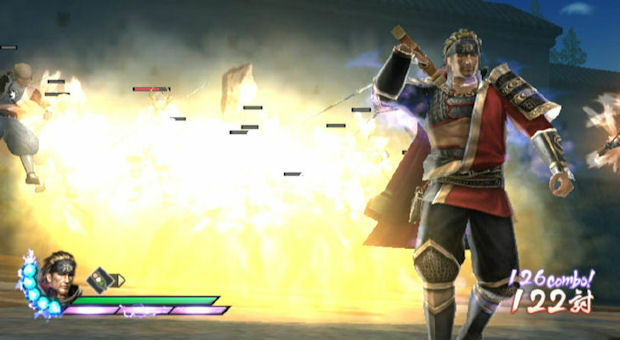 Also, if Samurai Warriors 3 is to be believed, soldiers could shoot energy balls from their hands and summon lightning. As always, Omega Force retells some of the most famous stories of the Sengoku period using an artistic license that borders on the slanderous. At its heart, Samurai Warriors 3 is the same as its button-mashing brethren -- it's a hack n' slash extravaganza that drops players into a full-scale battlefield where they must kill everything until their side wins. That said, this latest installment does a few new things and ultimately makes for a deeper, more flavorful experience than before. Chief among the alterations is a new focus on specific objectives. Rather than giving players free reign to attack whatever they like, Samurai Warriors 3 gives you a set of specific goals in order to efficiently complete each stage. Failing to complete specific objectives can change the course of battle and make things harder, while failing others can lose the fight entirely. Mission objectives are joined by tactical objectives. Failing a tactical objective will have no dire consequence, but completing them can provide substantial rewards, such as weakened enemies or new character equipment. These tactical objectives are a little more complex than simply finding and killing someone, usually requiring you beat an enemy within a time limit, with a certain combo count, or while your health is in the danger zone. This new objective-based style makes players feel less free, but also provides a more solid backbone to battle and gives players something to return to in order to "perfectly" beat each stage. The only time it really causes a problem is when you have to babysit a specific character, especially multiple characters. These missions can be almost impossible without severe level grinding in order to improve the speed at which a level can be beat, and I have failed many times specifically because allied characters cannot defend themselves. The morale system of previous games has disappeared, which means that allies no longer get better at fighting enemies in accordance to your actions. Instead, you can complete every goal, beat every enemy general, and yet still find that your allies are completely useless and that you'll get no help in tackling the main boss. This is a shame because enemy peons are now far more aggressive, and their attacks can break your combos to increasingly frustrating ends. 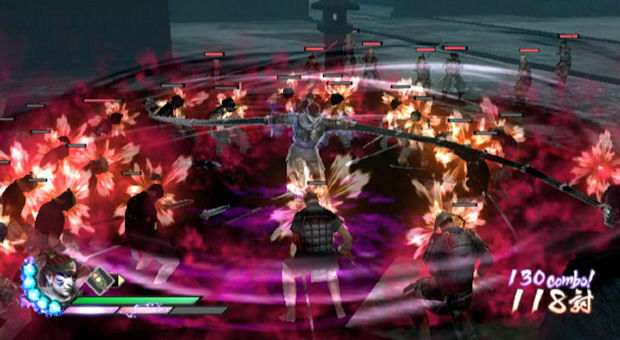 Many people complain about the "dumb" AI in Warriors games, and Samurai Warriors 3 demonstrates why you need dumb enemies in a game where you're surrounded by thousands of them. This frustration aside, Samurai Warriors 3 is still a damn good entry in the series, with a range of improvements that most players won't even be able to see, but that fans will definitely appreciate. The game's simple but satisfying combo system is still in place, and the new characters are incredibly unique and eccentric with their fighting styles, such as the hand-summoning Kanbei or the pimp cane-wielding Ujiyasu. There are now thirty-seven playable characters, all of which can be strengthened up to Level 50, and have their own range of weapons with unique attributes. In terms of the hack n' slash gameplay, not a lot has changed. Most of the older characters keep their old movesets and nothing has changed in the combo system. There is a new Spirit Gauge meter that builds alongside the traditional Musou bar. 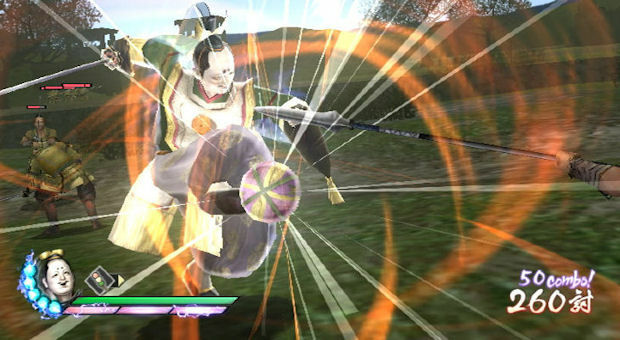 Unleashing a Spirit Charge by hitting "A" after an attack will break an enemy's guard, but the real point of the Spirit Gauge is to wait until both it and the Musou bar are filled, thereby unlocking a ridiculously powerful special attack that clears almost an entire screen of enemies and does stupendous damage to officers. It looks awesome, too. Another neat addition is the inclusion of consumable items. You can choose between three tiers of items depending on how confident you are. Cautious players can take six health items with them, while the more confident players can bring along a more diverse mixture that includes stat boosters and combo timer extensions. You'll definitely need at least a few healing items on hand, as Samurai Warriors 3 is definitely one of the tougher in the series. One of the best aspects of Samurai Warriors 3 is its equipment system. As well as random weapon drops unique to each character, there are also horses, armor, gauntlets and boots that can be acquired during battle and shared amongst warriors. Each piece of equipment confers its own attack and defense bonuses, and also houses a number of special abilities like the crucial "Brace" that stops enemy attacks from breaking combos, or the "Victory Flight" that randomly awards a speed boost upon the defeat of an enemy officer. These abilities range from pointless to cool to essential, and are randomly generated for each weapon, leading to each armament being a special little snowflake. Each piece of equipment can be enhanced a limited number of times at the Blacksmith, making abilities even more effective. Enhancing abilities requires different colored gems which are also picked up on the battlefield. It's a very simple system, but it's more than enough to keep diehard hack n' slashers interested. As well as the traditional Free Mode and Story Mode, there is an entirely new sub-game loosely based on an old Japanese NES title, Nazo no Murasame Jō. A fantastical story mode comprised of small levels, Murasame's Castle is a neat idea, spoiled by poor execution. Not only does it feel bland and lifeless, it's also intensely poorly designed with features that just weren't designed to work with the core gameplay. Various gimmicks involve traps that require timing button presses to deflect their shots, and an incredibly ill-advised, practically impossible stealth section. Stealth ... in a Warriors game. Whoever thought that was a good idea need their head examined. Character customization returns, with players able to make their very own warrior and take part in a new "Historical Mode" that doesn't twist facts quite so much as the rest of the game. New characters, costumes and even maxed stats can be purchased using the in-game currency of rice. Rice is earned at the end of each stage of every game mode, and there's a surprising amount of stuff to buy. All of this is topped off with co-op play that can be enjoyed split-screen or online. Unfortunately, due to the friend code system, I can't speak of online play, but I'm sure split-screen will be intensely preferable on the Wii. Samurai Warriors 3 is an incredibly content-rich game. Even though its sub-modes are nothing to write home about, the main game still offers a stupid amount of gameplay and features. 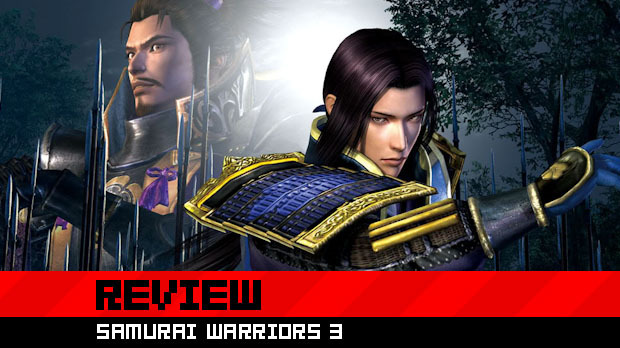 Granted, most gamers don't care about what Omega Force's games have to offer, but Samurai Warriors 3 is easily one of the most robust, varied and enriched entries into the Warriors series. There's an incredible amount to do and unlock, and while several aspects of the gameplay are more annoying than they should be, there is enough packed into this game to theoretically keep fans engaged for months and months. It's let down by a few frustrating gameplay tweaks and the ill-advised Murasame's Castle, but if you can chew through the initial annoyances and find yourself a piece of armor with the Brace ability, you'll find an excellent button masher that represents the first great "main" entry to the series in years. You already know whether or not this game appeals to you. If you're a long-term Warriors hater, then nothing this game does will appeal to you. If you're even a casual fan, however, this is one of the best examples of the series out there. It does so much, that even those parts that fail are easily replaced by something else. It's a great Warriors game, and well worth checking out for hack n' slash lovers.